Retirement Villages, Residential Parks and Residential Services have all been affected by changes to the legislation that govern both residents and scheme operators. By providing information, support and referrals to organisations who can help you, Right Where You Live will assist residents to understand and access the new consumer protections in place. Build capacity to represent their interests to service providers of residential services, scheme operators in retirement villages and park owners in residential parks. Provides accurate information about the legislative changes to residents, their families and resident groups and associations. Provides education and training to resident and home owner groups and associations, and staff of residential parks, retirement villages and residential services. If you would like to book a community information session, please contact us. To find an information session near you, check out our scheduled events. Associated Residential Parks Queensland is the peak organisation in Queensland representing the interests of Home Owners in Residential Parks. ARPQ provides a range of advocacy and advisory services to its members in their dealings with Park Owners and Managers and government agencies. In this context we bring a balance of fairness between Park Owners and Home Owners under the Manufactured Homes (Residential Parks) Act. As part of our work advocating for the rights of Home Owners in Residential Parks, we will assist in the Right Where You Live campaign by increasing understanding of the recent changes to the Manufactured Homes (Residential Parks) Act 2003 and improving capacity for people to represent their interests to Park Owners and Managers. 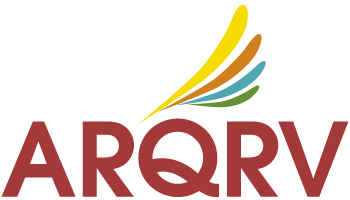 The Association of Residents of Queensland Retirement Villages (ARQRV) was formed in 1992 and is a registered charity under the Incorporated Associations Act 1981. Our aim is to represent the interests of residents in retirement villages to Governments and Village Operators. We see a need for a strong consumer protection organisation with a sound knowledge of Retirement Village Legislation, residents’ contracts and the retirement living industry. The ARQRV, after more than 25 years, retains a focus on consumer protection, and is an advocate on behalf of residents to examine, advise and/or act upon matters referred to us by any financial member. -Assist residents of retirement villages to understand both the Retirement Villages Act 1999 and its current amendments and how these will be of benefit to them. -Assist residents of retirement villages to build their ability to represent their interests to village managers and scheme operators. – Significantly raise the profile of ARQRV and enhance its capacity to reach and assist more people. The Queensland Retirement Village and Park Advice Service (formerly PAVIL) is a specialist service providing free information and legal assistance for residents and prospective residents of retirement villages and manufactured home parks in Queensland. Assistance is prioritised to focus on older people, including groups of residents. QRVPAS provides substantial community legal education and law reform, and undertakes limited case work. For more information you can visit the QRVPAS website here. For 60 years Council on the Ageing (COTA) Queensland has worked with older people to ensure the futures of Queenslanders are filled with opportunity and possibility. Our programs support older Queenslanders to influence decision making and create positive social change. advocating to Government on issues that affect us all as we age and we promote older people’s rights. providing free education to the community to help people be empowered to make informed decisions. promoting and partnering in research that addresses the big issues for older people. supporting organisations that address issues for older Queenslanders who are experiencing injustice, discrimination, disadvantage or disability. coordinating Queensland Seniors Week, connecting people of all ages and backgrounds. COTA is working with a team of peer educators to provide free information sessions to community groups about changes to the legislation governing retirement villages and manufactured homes in residential parks, including the requirements for operators and the protections for consumers. These sessions will provide an avenue for facilitated discussions around the concerns and issues encountered by current residents, or those considering their living options. Sessions will take place in select locations around Queensland, including Cairns, Townsville, Mackay, Wide Bay and in the south-east corner from September 2018 until May 2019. For more than 40 years, National Seniors Australia has been the leading independent, not-for-profit membership organisation lobbying to get a better deal for older Australians and fight on the issues that matter such as age discrimination, mature age employment, superannuation, pensions, housing, the cost of living, health and aged care. Our 130,000 members also enjoy exclusive member benefits including access to our Financial Information Desk, subscription to our quarterly magazine 50 something, competitively priced insurance products, big savings and expert advice on travel through our dedicated member travel agency, and great savings on everyday items at thousands of businesses across Australia through our Member Benefits program. National Seniors is proud to be working on the Right Where you Live initiative. We will be hosting information sessions around Queensland where you can learn more about retirement living options and the recent changes to the law that provide better consumer protections for residents. Visit our website here to find an event near you. Established in 1986, Tenants Queensland (TQ) is a statewide community legal service providing free tenant advisory services for residential tenants. TQ aims to protect and improve the rights of all people who rent their home in Queensland. This includes renters in private rental accommodation or social housing, and renters in marginal tenures such as caravan and residential parks, and boarding houses. Boarding houses and housing services that provide rooms, meals and personal care, are affected by the amendments to the Residential Services (Accreditation) Act 2002. TQ will be assisting in the delivery of information for residential services, to inform them of these changes. We will be working on a state-wide campaign, distributing written materials, conducting face to face appointments and community education forums, to assist tenants living in residential services to know their rights and better represent their interests to residential service operators. We will also be collaborating with ARPQ to deliver services and community education in residential parks, so that home owners can be fully informed of the recent changes to the Manufactured Homes (Residential Parks) Act 2003.